Each season has its own inherent color scheme. In spring, it's all about innocent pastels and bright floral tones. In summer, it's juicy red and marine blue. Winter calls to mind a juxtaposition between icy metallics and moody jewel tones. As for fall, it's all about shades of orange, dusky yellow, and muted red—basically, any color that reflects the changing leaves on the trees, cider mills, sweaters, and pumpkin patches. It doesn't matter where you live, either. Whether you're walking the chilly streets of NYC or living in the eternal summer that is Los Angeles, celebrating the seasons is best when you play with color, specifically your nail color. This fall, orange is the clear standout. Some of our favorite nail brands have released new polishes that range from bright citrus hues to smoky burnt ochre shades. And it's not trending simply because it's somewhat of an autumnal icon (it is, after all, the color of falling leaves and grinning jack o' lanterns); it's really trending because of the recent '70s revival. Yep, tinted aviators, ruffled blouses, shaggy fringe haircuts, corduroy, and orange nail polish. That's the pinnacle of style in fall 2018. Keep scrolling to see the 10 best orange nail polishes to get you in the mood for fall. 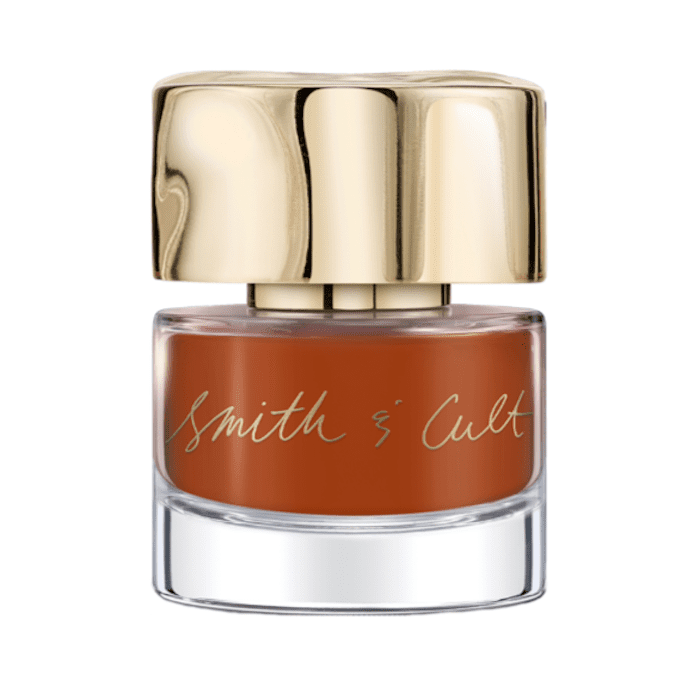 This is our favorite of all of Smith & Cult's new nail polish shades, although it's worth checking out all of them (specifically a gorgeous shimmery crimson shade called The Message, $18). Meet Tang Bang, which is an opaque burnt orange. It's so on theme for fall, and it's so delightfully '70s. Let's just say we hold this one in high regards and may or may not have worn it on our fingers multiple times since summer ended. 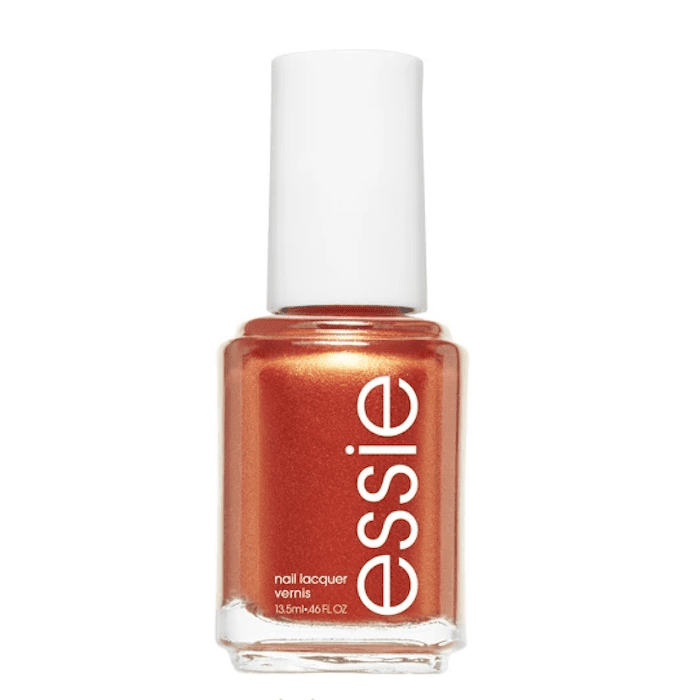 Next, we have some brand-new shades from Essie's fall 2018 collection, which was inspired by autumn in NYC. As such, the name of this marigold orange color is Fall for NYC. It reminds us of the sun-dappled orange leaves in Central Park and steaming turmeric lattes in NYC cafés. It's sold out online, so you'll have to head into a brick-and-mortar drugstore to snag one. Or, wait for it to be restocked. We interrupt our regularly scheduled programming to ogle at this autumnal nail art showcased on Essie's official Instagram account. Both of the aforementioned nail polish shades were used to create this ombré design. We're pretty sure we'll keep coming back to this image for fall inspiration from here on out. 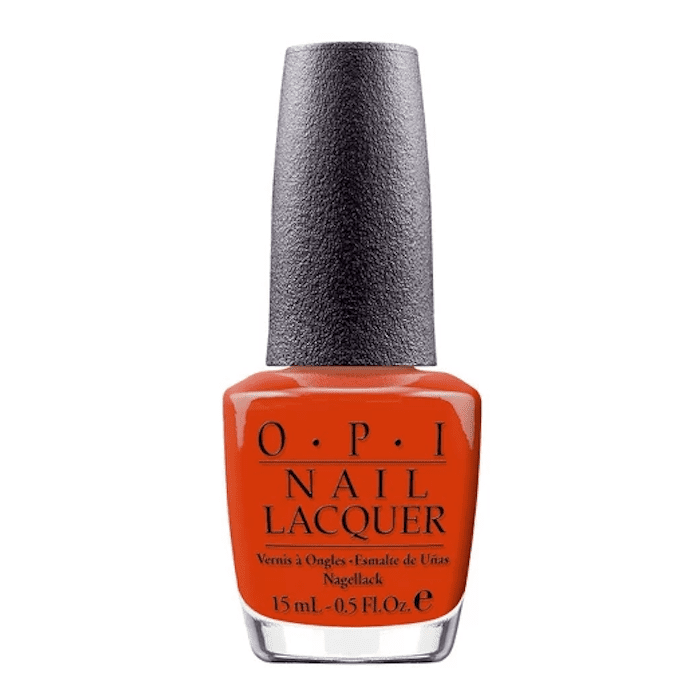 For a true, classic orange, look no further than OPI's formula called It's a Piazza Cake. It's bold, it's vibrant, and it's truly opaque. Use it as a simple wash of color, or incorporate it into Halloween nail designs. If you prefer neutrals and earth tones, then you'll love this rust color from Tenoverten, a brand that creates nontoxic nail polishes that are free from eight harmful chemicals found in other brands' formulations. These polishes can also boast that they're completely vegan-friendly and cruelty-free. For all these reasons and more, Tenoverten is a Byrdie-editor favorite. 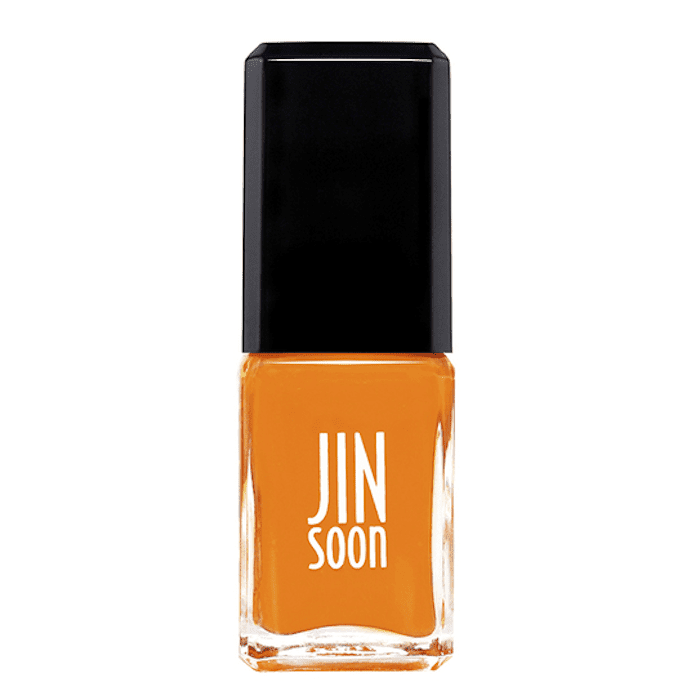 Compared to rusty earth tones, this JinSoon shade, called Hope, is vibrant and cheery (basically, it sits at the other end of the orange polish spectrum compared to the aforementioned Tenoverten pick). Consider it proof that orange nail polish doesn't have to be muted or subdued. It can run the gamut from smoky and earthy to neon and pastel. 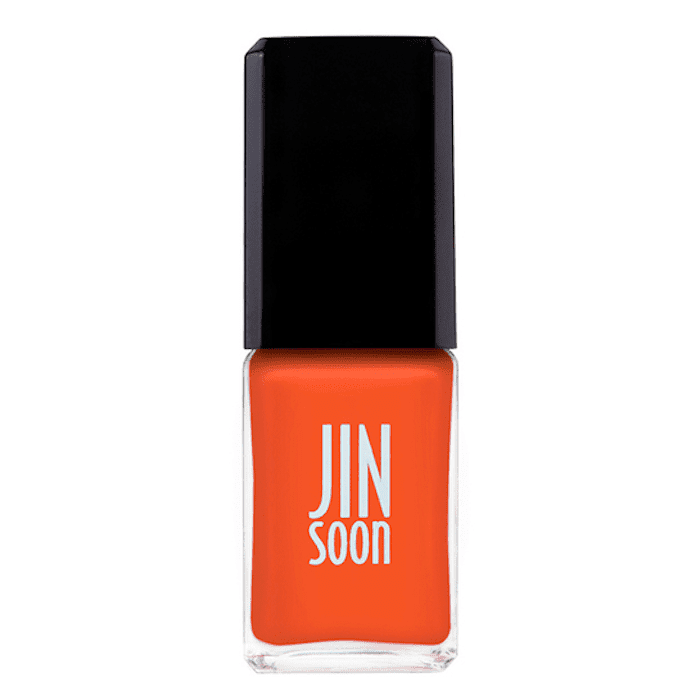 In the photo, this JinSoon shade looks similar to the glaring orange of a traffic cone, but it's subtler and more dimensional IRL. That's because it's not pure orange; it's actually a mix of coral and orange, modeled after the wild poppies that grow in the French countryside. 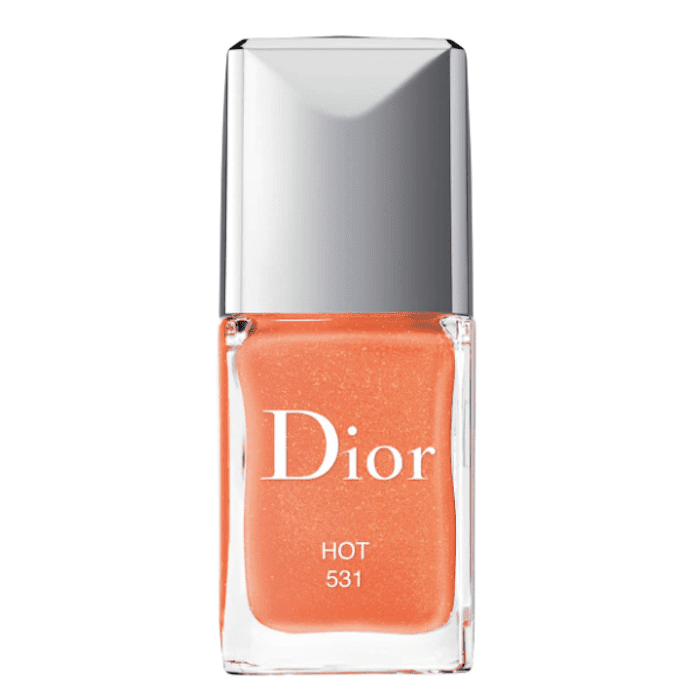 Dior's high-fashion take on orange nail polish is bright, cheerful, and shimmery. This mandarin orange color is almost too pretty. Its beauty is only exacerbated by the fine flecks of gold shimmer that swirl around inside of it. This Zoya nail polish, called Cole, is a soft pastel orange. It looks amazing on every skin tone, though it complements people with warm undertones best. Just don't regulate this shade exclusively to autumn; we think it should be worn all year round. 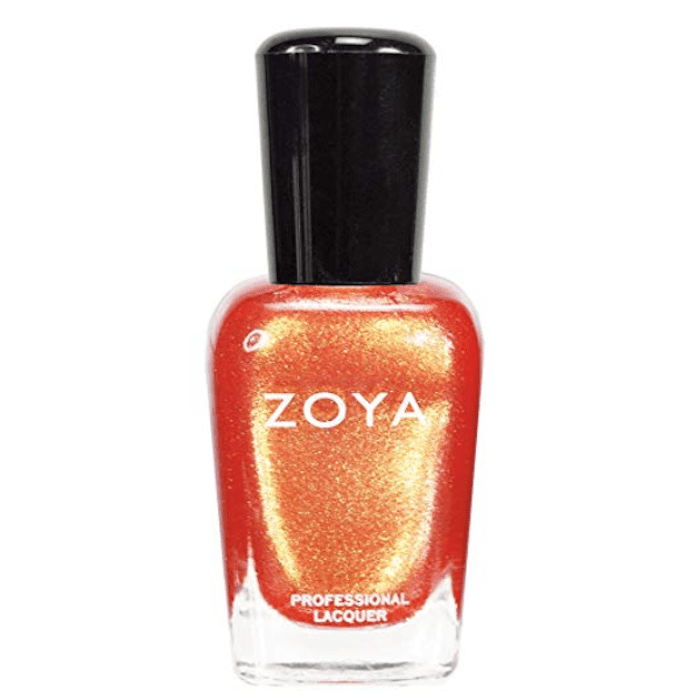 Shimmery, fiery, and dimensional are all adjectives we could use to describe this polish, which is called Tanzy. Metallic gold sparkle swirls in a base of tangerine orange, and it's nothing short of entrancing to watch. Next, check out the 12 best fall nail colors, according to Byrdie editors.